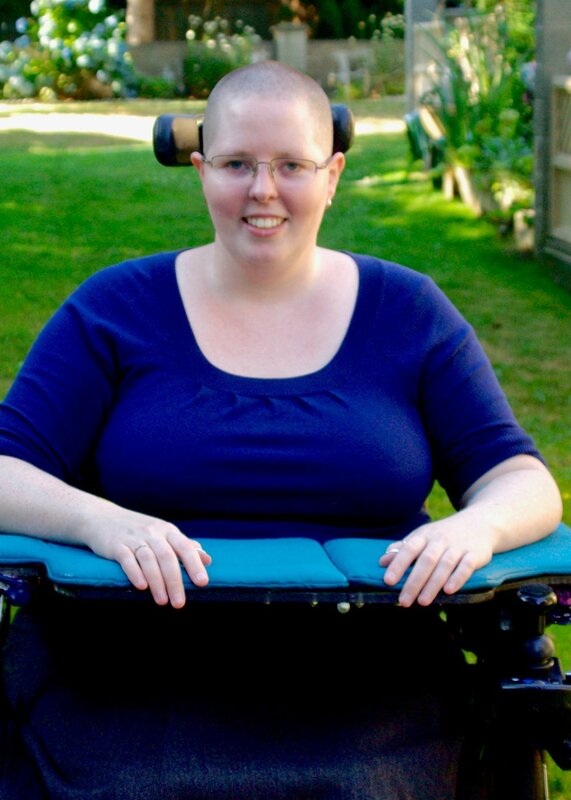 Our good friend Heather McCain from Citizens for Accessible Neighbourhoods (CAN) generously wrote this post to help educate our community about the Ubiquity of Disability. Disability is an umbrella term for a condition that restricts a person's ability to go about their daily life. A disability can affect a person’s body, brain, sight, and/or hearing or it may affect multiple areas. While disability is often thought to be a small portion of the population, disability is ubiquitous. There are more than a billion people in the world who experience some form of disability. In Canada, one out of seven Canadians self-identify as living with some type of disability. Seniors currently make up 16% of Canada’s population and are expected to make up almost 25% by 2036. Age related health issues are a common cause of disability. An American study demonstrated that 94% of those between the ages of 57–85 had some kind of sensory disability, and most experienced impairments to two of the five senses. One in four people will experience mental health issues within their lifetime. People with disabilities are one of the fastest growing demographics in the world. The numbers are actually higher than reported as many people choose not to self-identify as having a disability because, unfortunately, the word has negative connotations. The truth is, all of us, at some point in our life, will experience some form of disability. As much as it can make people uncomfortable to think about, our bodies are fallible. Our bodies are complex systems and there are many ways we can become disabled, affecting our ability to go about our daily lives. There are temporary disabilities, like a broken leg, and permanent disabilities, such as an amputation. A recent decision by the Human Rights Tribunal of Ontario deemed a woman's miscarriage a short-term disability. Some people are born with disabilities, like Down Syndrome or Cerebral Palsy, others may develop them later in life, such as spinal cord injuries or traumatic brain injuries, while others experience disabilities as the result of ageing, such as hearing and/or vision loss. Some disabilities are episodic, like migraines or epilepsy. Some disabilities are visible, such as a blind person with a guide dog, while others are invisible, such as mental health issues. Often disability is seen as a negative word leading to people with disabilities not asking for or receiving the support and services they need. Disability is not an inherently negative word, it is not a judgement, and we need, as individuals and as a society, to work on removing the stigma associated with it. Often, a person’s disability is not actually what restricts them from going about their daily life, it is the negative thoughts and perceptions of others that impede them. Discrimination of people with disabilities comes in many forms: the inaccessibility of our built environments (businesses, homes, schools, streetscapes, gathering places, etc. ), the attitudes of others (attitudinal accessibility), the perceptions that people with disabilities are “less than”, being denied accommodations or not having access needs met, bullying and harassment, assumptions about what one can or cannot do, organizational policies, etc. One reason why many access needs are not met for people with disabilities is that people lack awareness about the prevalence of disabilities. People also tend to believe that one can spot or see a disability. This can lead to access needs not being met because people don’t think there are individuals with disabilities present. 93% of disabilities are invisible. It is best not to look around a room to see disability, you will miss the majority of people with disabilities; it is more likely that most rooms you enter will contain at least one person with a disability of some sort. As not every person with a disability self-identifies as disabled or feels comfortable enough to disclose it, how does one help ensure access needs are being met and people with disabilities are not being excluded? An accessibility protocol is vital for businesses, gatherings, schools, meetings and any place where people are coming together. An accessibility protocol lays out how to integrate solutions for access needs and helps to ensure welcoming and inclusive environments. Don’t book gatherings in non-accessible venues. Have a microphone and sound system in every meeting and ensure that every person who speaks uses the microphone. While people often say that their voice is loud enough for everyone to hear, that is an assumption that often leads to people being excluded. It is vital that assumptions are not made and microphones are always used. If a meeting does not have a microphone that can move about the room, the person with the microphone should repeat the comments into the microphone. People may not feel comfortable self-identifying as having a disability or singling themselves out in a room full of peers to make sure their access needs are met. Leave a chair out at multiple tables (or in a room with a circle of chairs) for participants with mobility devices. If no one with a mobility device arrives by the start of the meeting and the space is needed, a chair can be put back into the spot. People with disabilities are often forced into making space for themselves, this can be uncomfortable as it ‘others’ them from the beginning, making their experience as a participant different from the start. Ensure there is enough space between products, meeting tables, chairs, etc. for people in mobility devices to move about the room. In meetings, there is often only a small space available at the back of the room for people with mobility aids, this excludes them from moving about the room and networking and from choosing who they sit with. Describe images and text for links or attachments on social media posts. Twitter has accessibility options to caption photos, memes or other images that cannot be read by screen readers (systems that read text for people with visual impairments). On Facebook, you can add “(Image:” and describe the image in your post; also add any text that is included in/on the image. Consider people who live in poverty or are low-income. Often people with financial restrictions are left out of events, seminars and professional development because of unaffordable costs. If you offer subsidies or discounts, include it in your materials and be specific about requirements and how to access them. Include information about the accessibility of events/meetings in your promotional materials. Allow people to take care of their bodies as they need to. Do not restrict bathroom breaks to specific times, allow people to leave the room as they need and announce this at the beginning of all meetings so that people feel comfortable getting up at non-assigned times. Also mention that if people need to get up or move about the room, they may do so as long as they are not being a distraction to other participants. These are just a few examples of accessibility protocol measures. There is definitely an adjustment period in the beginning but soon enough, these will become second nature and access needs will be met. We all have a role in ensuring the spaces and places we use are welcoming and inclusive to people with disabilities. When the day comes that you experience your own access needs (if you don’t already), you will want accessibility protocols already in use and not something vaguely promised down the road. If you would like to learn more about accessibility protocols, contact Heather at info@canbc.org or 604.437.7331.